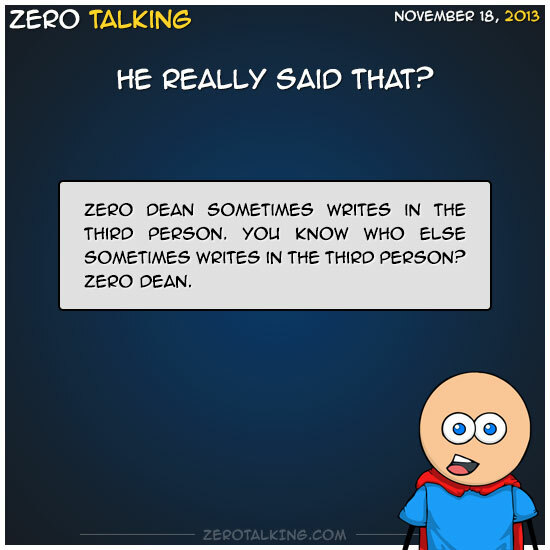 Zero Dean sometimes writes in the third person. You know who else sometimes writes in the third person? Zero Dean.